My name is Sam Rastogi / Team Leader. 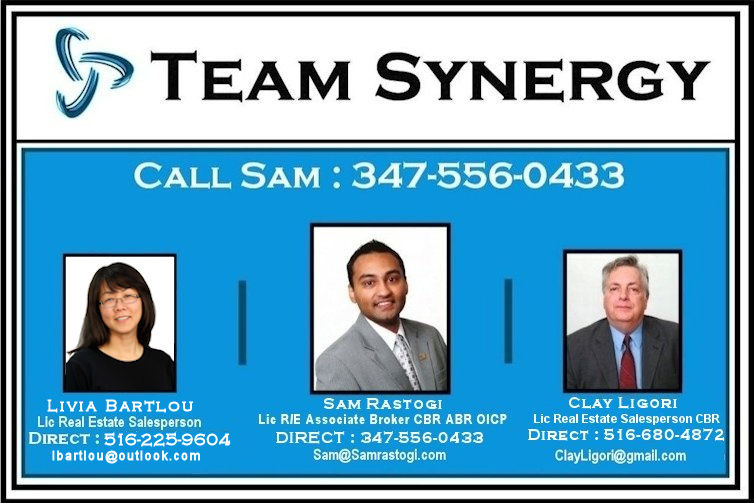 Welcome to Team Synergy!. On this site you will be able to search real estate listings from our local area. The listings are updated on a daily basis so you will have access to the most up to date real estate information around. With multiple pictures, virtual tours, and mapping information with street view, you will be able to view each property virtually from the comfort of your computer. We look forward to working together. Please call or email us so we can discuss your real estate needs. We hope you enjoy the site and can find the home of your dreams!.Thank you for visiting!